• Pearls: The white beads that are used to make bag. 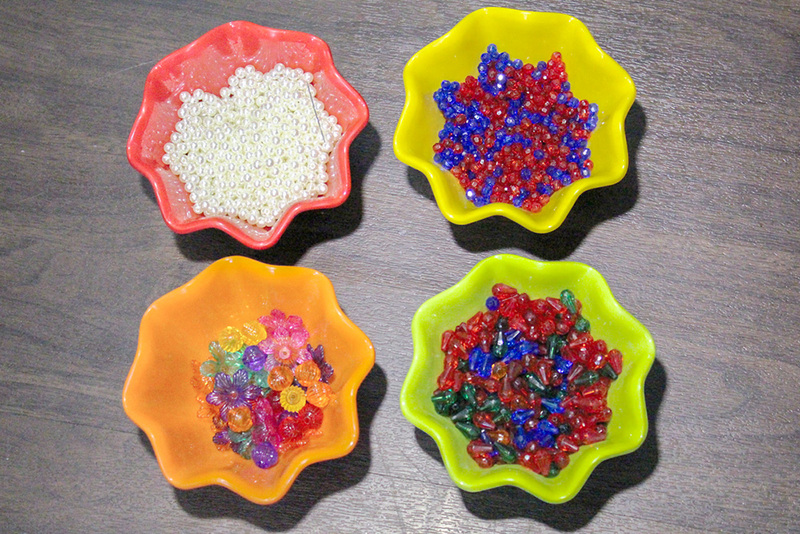 • Beads: The beads are used to accessorize the pearl bag. • Needle: The needle is used to weave the pearls. 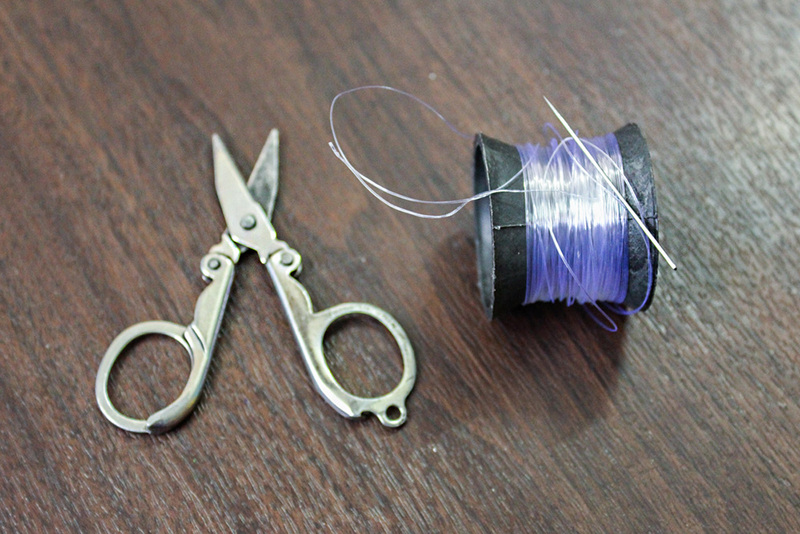 • Thin Fish Net Threads: Threads are used to hold the pearls together.